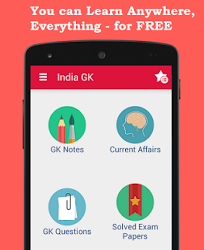 4th August 2016 Current Affairs MCQs, Quiz, Questions: Current Affairs for August 2016, Daily Multiple Choice Questions (MCQs) for India GK, World GK and current affairs with Collection of daily objective type Question by www.Indiagk.net based on General Knowledge (GK) and General Science (GS) Questions for UPSC, State PSC, SSC, Police exam, Railway exam, SBI, Bank PO, IBPC, SSC, LDC, UDC, Army, Airforce, Navy, Coast Guard, Bank Clerk, TET and all entrance examination with current affairs News, Multiple Choice Questions (MCQs) available on Website www.IndiaGK.net and Android Apps with daily updates:. Which state has become the first Indian state to approve sewage and waste water policy? Who will be honoured with the Lifetime Achievement award at the 2016 Goa State Film Festival? India has inked an MoU to import pulses from which African nation? A protest was observed recently in Karnataka over water dispute on which river ? Who will be awarded with the Rajiv Gandhi National Sadbhavana Award?